Why does PR get such a bum rap? 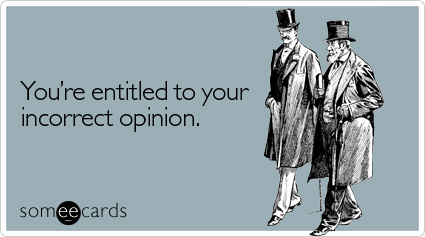 Those of us in the PR industry are constantly defending what we do. Not even because we need to justify the profession, but because so many people out there insist on bitching about their bad PR experiences. I have no doubt that these bad experiences exist, but please stop lumping all PR pros and agencies in the same category. Not everyone is a stereotype, and I’m pretty sure none of the PR-haters out there would like it if we started throwing around stereotypes about their professions. Just saying. So this morning when I saw my friend Jason Mollica’s blog post titled “An Attack on PR…again,” I thought: What did we “do” now? Of course Jason was showing his PR solidarity. But I still had to read the article he was referring to so that I could hear the other side of the story. I’ll admit that I thought I was going to get really angry about some stupid accusations. Instead, I started to realize there are legitimate issues brought up in the article that occur between many PR agencies and clients—issues that lead to PR haters getting on their soapbox. 1) Forgetting to ask: Is PR right for me? PR is not right for every organization. First, take time to understand what PR is (because many people don’t fully understand it but think they need it) and then decide if it’s the best way to promote your brand, product, service, event, etc. If PR is the right approach, also consider: what type of PR? The particular instance in the article was restaurant PR. Well, that requires a very different strategy from the kind that I outline for my b-to-b technology clients. Did this guy ever stop to consider what the best PR approach would be before he delved into searching for an agency? Yes, good reviews are key, but isn’t word of mouth the most important aspect of promoting a restaurant? People will tell their friends if the food, service and overall experience is good. If you don’t do any research on the agency or its expertise, you could be WAY off base on who you’re hiring to handle your PR. Do they represent clients in your industry? Does their expertise fit within your needs? Do their current clients get coverage in your target media outlets? If you need digital work done, does the agency have those capabilities? Thorough research is necessary before you choose an agency, or you will probably turn into an angry client because your expectations will not be met. You can’t assume all PR is the same and all agencies are the same. If you do, then don’t blame the agency when the job isn’t up to your standards. Maybe you should’ve done your homework first. Define your goals and what PR success looks like before you start working with an agency. This way you can share those goals/expectations upfront so everyone is on the same page. Be clear about what you need from your PR agency because it’s different for each client. You can’t expect them to deliver results if they don’t know what those results are supposed to look like. Consider the story you want to tell about your brand and who you want that story told to. If you don’t, you might not realize until it’s too late that you really have no news hook and/or no audience. Think to yourself: Ideally, how would I like my brand to be perceived? What would an ideal media placement look like? What type(s) of people do I want to know about my brand? After all, you’re the expert on your brand. Don’t be afraid to tell the PR agency how you envision the story playing out. Be objective. It’s not easy, but you really need to ask yourself: Is this something that people care about? Just because you think it’s newsworthy doesn’t mean the media does. However, if there isn’t a news hook you can still find one. I would suggest working with your agency on this: tell them what you consider the attributes and/or differentiators to be so they can come back to you with ideas on how to find your news hook. You can’t expect PR miracles to happen overnight. If you don’t bring anything to the table your PR agency can only do so much (which might not be anything if there aren’t raw materials to work with). Keep your agency informed of new initiatives BEFORE they happen, send all marketing/sales collateral to them, brainstorm ideas with them, be available for ad hoc interview requests etc. etc. It works best when it’s a two-way relationship. 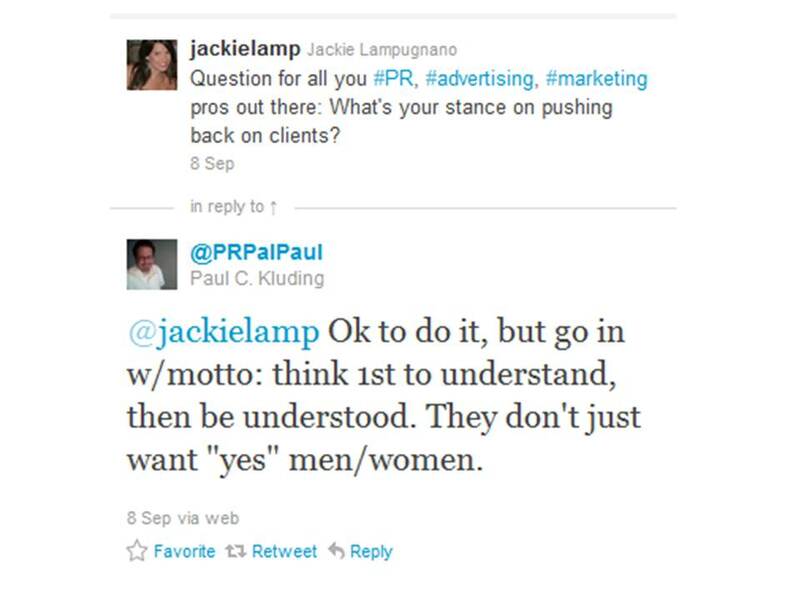 In the defense of those complaining about PR, I realize not all agencies are easy to work with, creative and organized. They might not be asking the right questions either. But if you know what you want and you verbalize it, it will go a LONG way towards solving the problem. What do you guys think? What did I miss?